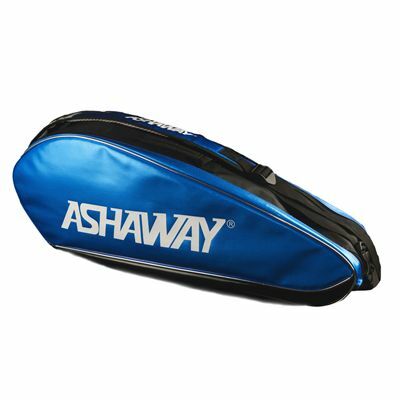 The Ashaway ATB860D double racket bag is made from a heavy duty material for added durability and can hold up to 6 rackets. It features 2 zipped compartments for the equipment and a side pocket perfect for the necessities. The main compartment is supplied with thermal foil lining to protect the rackets from extreme temperatures. In addition, the bag offers carry straps and handles for easy transportation. for submitting product review about Ashaway ATB860D Double Racket Bag.